Author of "My Two-Year Old Eats Octopus," gives mealtime tips for raising children who love to eat everything. “It becomes so much more than just about what they eat." -- Nancy Piho, author of "My Two-Year Old Eats Octopus: Raising Children Who Love to Eat Everything"
Do you have a picky eater in your house? Do you find yourself acting as a short-order cook at mealtime? Three new short online videos – one focusing on packing lunches, a second on easy dinners, and the third on answers for real-life parents’ questions – introduce useful tips to prevent and improve picky eaters from a new point of view. 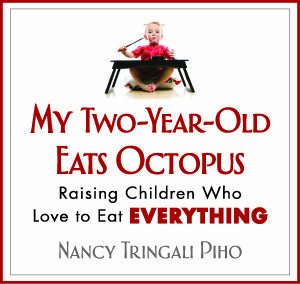 Nancy Tringali Piho, author of “My Two-Year-Old Eats Octopus: Raising Children Who Love to Eat Everything” and mom, worked with the Tuna Council of the National Fisheries Institute to produce the videos, which give practical pointers and recipes to show parents how the concept of loving a variety of flavorful foods is something that can be taught. To view the videos, click here, here or here. Somewhere along the way, the joy of introducing our babies to their first foods has turned into an exercise in dumbing down instead of exploring the entire range of foods we eat as families. That can lead to meals lacking in variety, nutrition, and most of all, flavor, not to mention a lot of specialized and unnecessarily time-consuming meal preparation. Piho believes getting kids to eat the foods the entire family eats is not so much an issue of fancy cooking or stubborn wills, as it is a simple issue of taste. “Maybe it’s because that child has not been exposed to enough different flavors in the diet,” she suggests of picky eaters in the new videos. One meal wonders: For lunches and dinners, make one tasty meal for everyone to eat. This saves time and money while ensuring kids get the same flavorful, wholesome meal as adults. Enticing tots’ taste buds: Use new spices and ingredients to help develop your child’s palate. Working new flavors in to a familiar food – like capers in to canned tuna – is a good way to introduce an exciting taste. Piho believes teaching kids about food, and everything that involves, broadens their horizons in so many ways. Jennifer McGuire, a registered dietitian with the National Fisheries Institute and a regular blogger about eating seafood, could not agree more. “If you’re lucky enough to be exposed to tasty, healthful foods like fish as a child, you’re positioned for a wholesome diet later in life,” says McGuire. 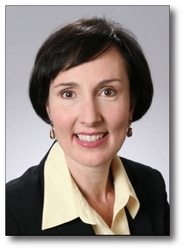 In 1999, following 15 years in public relations and marketing in the nation's capital, Nancy Tringali Piho started Nancy Tringali Associates, Inc. (NTA), specializing in communications, media relations, marketing and promotions for clients in the food and beverage industries. Prior to starting NTA, Nancy was a vice president in Food Group in the Washington, D.C. office of Porter Novelli, an international public relations firm, where she launched the National Cancer Institute's "5 A Day for Better Health Program". After spending twenty years in the food marketing and communications industry, Nancy thought she understood how we as consumers decide what to eat. But now that she has two little boys, she is observing first-hand the way that people learn to eat, and learn about foods and choosing what we like to eat. She began to realize that these two things – the foods that are most marketed to our kids and are most available to them, and the concept of a child learning to enjoy a wide variety of flavors – are in conflict. She wrote her book to help parents who want their young children to be healthy and adventurous eaters.